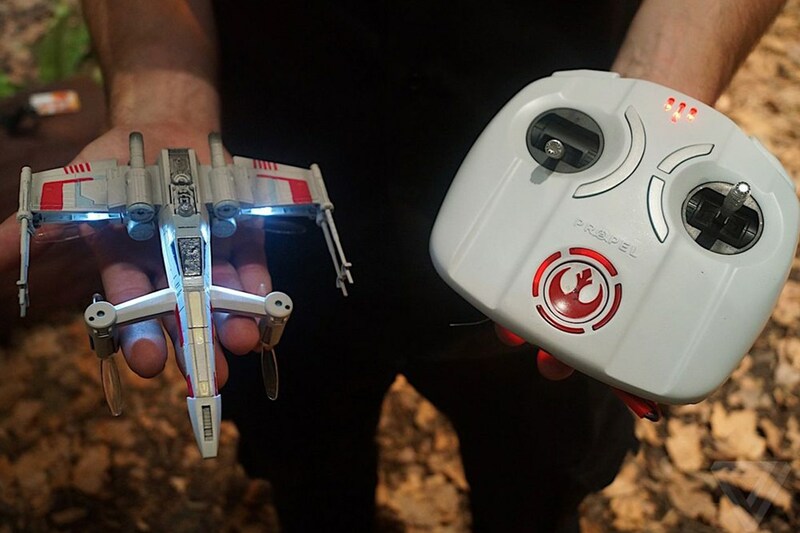 At first glance, Propel’s new Star Wars Battle Drones may look like actual props from the movie, but upon closer inspection, you’ll see they’re actually gravity-defying machines. 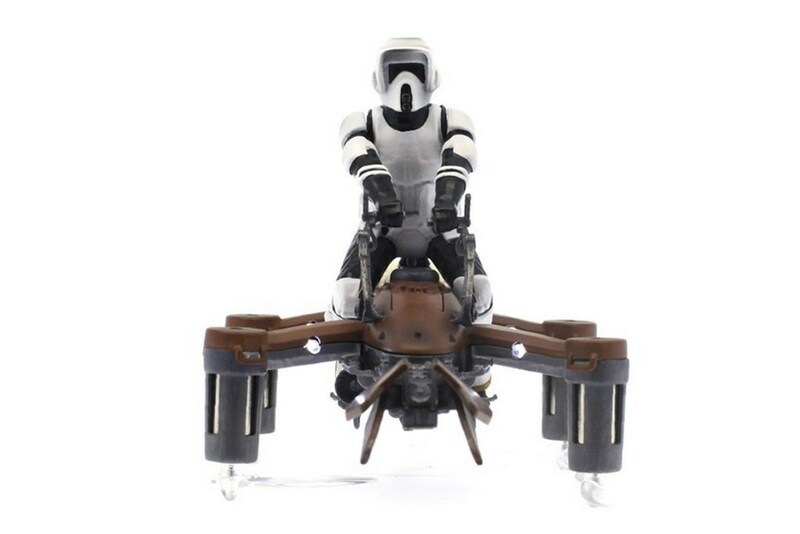 They come in Millennium Falcon, T-65 X-Wing Fighter, Darth Vader TIE Advanced X1 and a 74-Z Speeder Bike, complete with miniature Stromtrooper from Return of the Jedi, models. Continue reading for another video, more pictures and additional information. 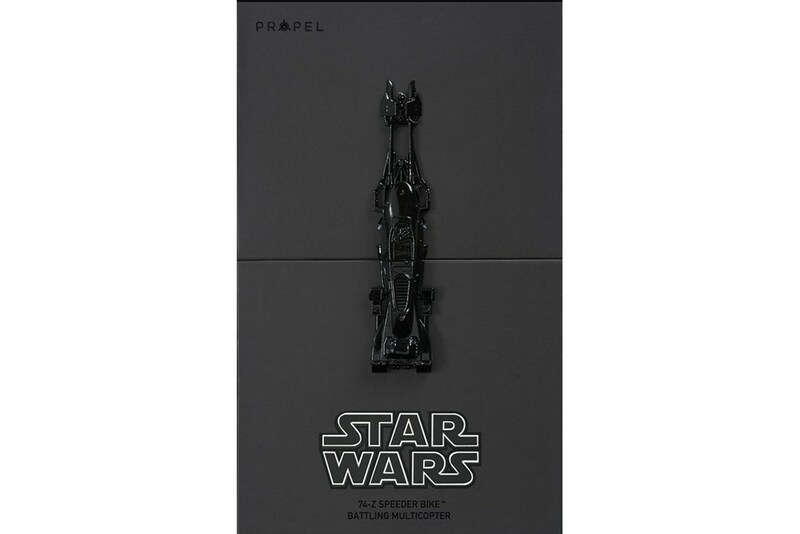 “Showing off all four at this year�s Star Wars Celebration, fans will be able to reserve the first 15,000 special edition pieces which will ship in late September. Unfortunately, getting your hands on one of these might be a bit difficult as sales are currently licensed for Europe, the Middle East and Africa. U.S. fans will be able to reserve them online with prices rumored to be around $300 to $400 USD each,” reports Hi Consumption.